Xperia play is one of the Sony Ericsson smartphones running the Android operating system. The phone features 4.0 inch LED-backlit LCD screen and a 1GHz Scorpion processor CPU. It is the first PlayStation Certified device. For game fans, it’s really a good choice. With this mazing smartphone, watching movies also seems cool. Step 1. Free download the DVD to Xperia Play converter. install and run it. Then add your DVD file. DVD disc or ISO/IFO files all will be OK. Step 2. Choose the suitable format for Sony Ericsson Xperia Play. i recommend you “Format < Android < Motorola Droid (x) H.264 Video (*.mp4)”. 1. iTune sync experience is bad. iPad and iPhone sales figures are very impressive, tens of millions. This based on Apple’s product innovation, excellent user experience. But iPad and iPhone sync with the computer through the iTune experience makes criticism: in sync on different computers, the information often loss. So Apple is an urgent need for a “cloud services ” manage content. the contents of the list of authorized users on the remote server, users on different computers without worrying about data loss. According to media reports, recently has confirmed, the wifi version of Motorola Android 3.0 Honeycomb Xoom tabalet will be listed on May 8.
iPad 2 give us more enjoyment than iPad, since it supported 1080p also via a HDMI cable, So we can watch movies stored in iPad 2 on HDTV. As its official claimed, iPad 2 can only play certain video format, such as H.264/MPEG-4 MP4, MOV, M4V. As one of the most common format, WMV video often appear in our movie life. But if you want to put WMV file on iPad 2, it can’t play. So the easiest way is to convert wmv to mp4 which can played well on iPad 2. According to media reports, HP’s first Tablet HP TouchPad has passed the FCC (Federal Communications Commission) certification. This means that the Tablet will be formally released. Early March, a leaked document showed, HP TouchPad expected to be available in June. TouchPad today by FCC certification, make sure it can follow a pre-planned June release. 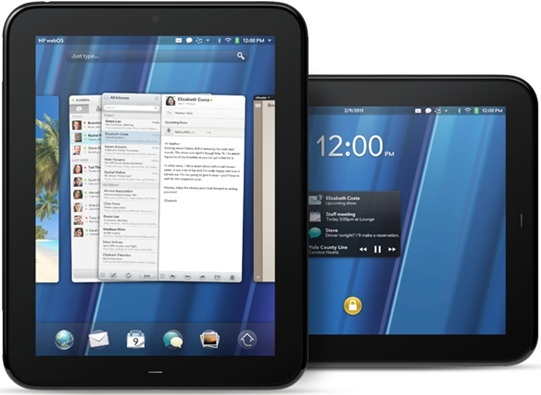 HP TouchPad Tablet PC will release with a new operating system, that’s WebOS system. Currently, the released tablets using system including the BlackBerry PlayBook QNX system, the iOS of Apple iPad 2, and the widely used Android system. TouchPad with 1024 × 768 resolution, 9.7 inch touch screen, configure the high-pass 1.2GHz Snapdragon processor. The body is not equipped with the mainstream of post-camera for video calls, but is only a 130-megapixel front camera. TouchPad will run the Web OS system. HP has specially created HP Music Store and Movie Store streaming media services for the release of the device. Wi-Fi 16GB capacity version of the HP TouchPad expected to retail for $ 499, while the 32GB capacity for $ 599. Why some AVI movies playback on PlayBook without sound? BlackBerry PlayBook is just a wonderful one for playing movies. This not only because it supports 1080p video playback, but it also supports a wide range of formats. From the Format list of PlayBook, we can confirm it supports avi, mp4, f4v, wmv etc. However, Some of my friends once met this problem. That’s when they watch avi movies on PlayBook, there is no sound. Do you have this problem? If you see the list carefully, you will find the answer. The PlayBook supports avi video playback without any question. But only supports audio format as mp3 for avi files. While our avi movies has a lot of audio formats. Before you put AVI video on PlayBook, Please figure out the audio format of the file. If your avi file isn’t using mp3. It doesn’t matter, now i will tell you how to convert audio for PlayBook. Barnes and Noble releases Nook Color update ahead of rumored Kindle tablet. Looks like Barnes and Noble is preparing for the rumored upcoming new “tablet” from its eBook rival Amazon. According to Engadget, the Nook Color Android eReader from the popular US bookstore updates the operating system version of its popular Nook Color device allowing owners to buy some apps like Angry Birds Pulse Feed reader and so much more. The Nook Color also includes Barnes & Noble’s very own app, the Nook Friends. One of the notable new features of the Nook Color is the enhanced browsing experience. The Nook Color 1.2 update is like FroYo, but less populated. The bookstore company says that the 7 inch eReader’s web browser is now faster, and includes better gesture support. The new browser also allows users to switch between mobile and full versions of websites they read. The Nook Color OS 1.2 update now supports Flash Player 10.1. Surprisingly, the new update also includes an email client, indirectly beating Research in Motion’s BlackBerry PlayBook that currently doesn’t support its own email app. The BlackBerry PlayBook is a 7 inch QNX based BlackBerry tablet OS-powered device released this month. The BlackBerry PlayBook also supports Adobe Flash, and supports video chat and can shoot HD videos. 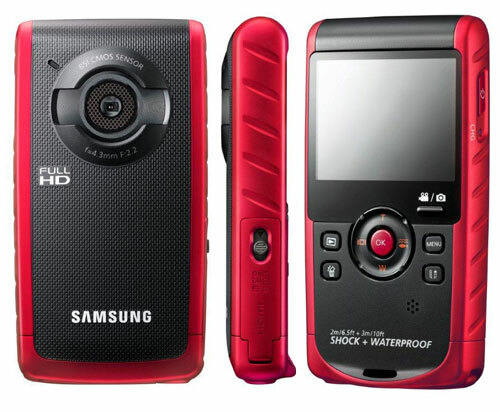 Samsung HMX-W200 comes with an ultra-compact size (only 113 x 60 x 19.7 mm) and very low weight (about 130 grams). This camera is designed for summer vacation. Her body, in fact, made with special ingredients that allow its use even under water, up to a maximum depth of three meters. As for technical features, features a 5 megapixel sensor resolution can record movies in Full HD (1080p) or, conversely, to take pictures. To frame the scene to capture the thought-screen 2.3-inch large LCD located on the back, the offe resolution of 320 x 240 pixels. TV set with a disc player. But this just one solution to play movies and it is inconvenient if we don’t stay at home. Maybe we also can take another way to enjoy movies. PlayBook just give us possibility. As a PlayBook user, most of the time, i watch movies on PlayBook. It’s so portable that we can take it anywhere. Since it supports 1080p playback. We don’t need to worry about the video quality. The following i will share you my solution to convert Blu-ray or DVD movies to PlayBook. Step 1. First we need a disc tool. Here i recommend you Pavtube Blu-ray Ripper, it can rip Blu-ray or DVD discs, if you only have DVD discs, just take Pavtube DVD Ripper. Free download, install and run it. Step 2. Add your Blu-ray or DVD files to the PlayBook Blu-ray/DVD Converter. Step 3. Choose the suitable format for PlayBook. Please click on “Format – HD Video – H.264 HD Video(*.mp4)“, this format played well on my PlayBook, i also set the settings with size 854×480 resolution. It is really a balance between quality and size. You can also get the Full- screen. Step 4. Click on the ” convert “. The following thing is just to wait. After the conversion finished, stream the movies to PlayBook with USB cable. Now you can enjoy movies on PlayBook. It seems simple, Pleaes try it by yourself.